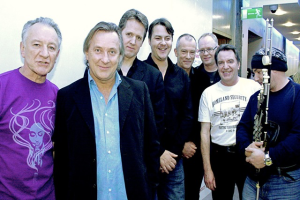 The Irish band Moving Hearts have confirmed a one-off show at The Olympia Theatre on 29 January 2016. The band’s line-up for this special appearance will include a stellar roster of many of Ireland’s finest musicians: Donal Lunny (bouzouki), Davy Spillane (uilleann pipes and low whistles), Keith Donald (sax and bass clarinet), Eoghan O’Neill (bass), Noel Eccles (percussion), Jimmy Smith (guitars), Liam Bradley (drums), Graham Henderson (keyboards), and special guests Mairtin O’Connor (accordion) and Mick Hanly (vocals). Tickets cost from €45.50 and go on sale this Friday, 18 December.